Winning at the casino is fun to do. It is why people travel to casinos and now it is why people are turning to mobile casinos to play their favorite game. It is great if you are able to hit the jackpot once at a slot machine, but it is even better if you are able to do it again. That is what you can try to accomplish when you play the Break da Bank Again mobile casino game. Break da Bank Again mobile game is a 5 reel slot machine that has 9 paylines. It is a non-progressive machine that offers a maximum jackpot of 18,750 coins. The symbols of this game represent all of the things that people are trying to achieve when they are gambling. Vaults, jewels, gold bullion and stacks of cash will appear on the screen every time you spin. There are also the traditional symbols of slot machines that represent the Ace through ten of a deck of cards. Players win when they match the symbols on the payline s that they have selected to bet on. The Wild Symbol – When you see the Break da Bank Again symbol, you have found the wild symbol. This replaces any other symbol on a payline except for the scatter symbol. It also acts as the multiplier for the game. The multiplier is selected randomly and ranges from 5 times to 25 times. The Scatter Symbol – The bank vault is this symbol. When you get three or more of these symbols, you will receive 25 free spins. All of the wins during the free spins are multiplied by 5. 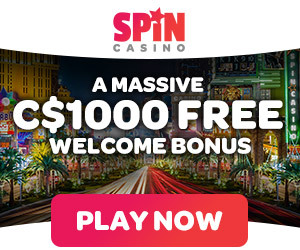 Every time you get a scatter symbol during the free spins, you are given one more free spin. The Gamble Feature – If you really want to break the bank, you need to take advantage of this feature. When you win on a spin, you can gamble the winnings and choose the color and suit of a random card. If you match the color, your winnings are doubled. If you match the suit, your winnings are quadrupled. If you fail to match, you lose what you had won. The special features help make this game even better. They provide the players with ample opportunities to win the big jackpot. It is also possible to play more than one Break da Bank Again games at the same time. This provides you with four times the chances to hit it big and to break the bank.